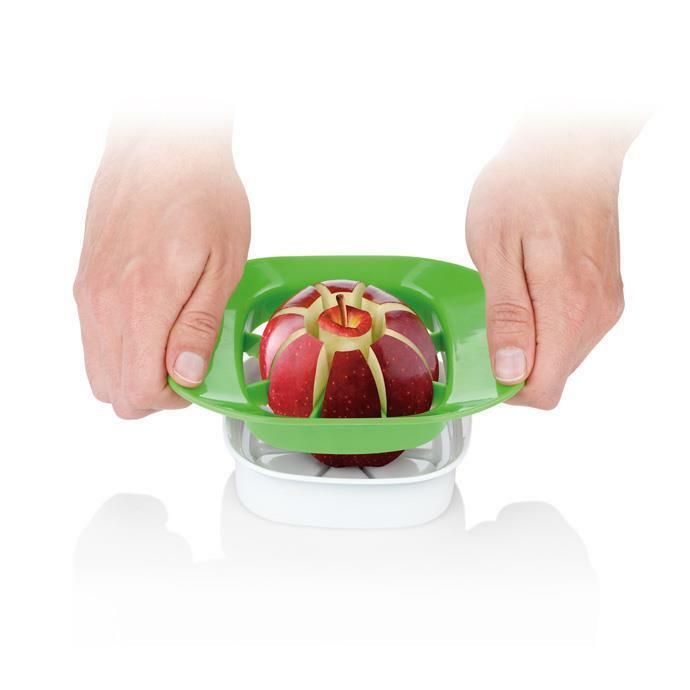 Slices apples and pears into 8 equal parts and removes the core. 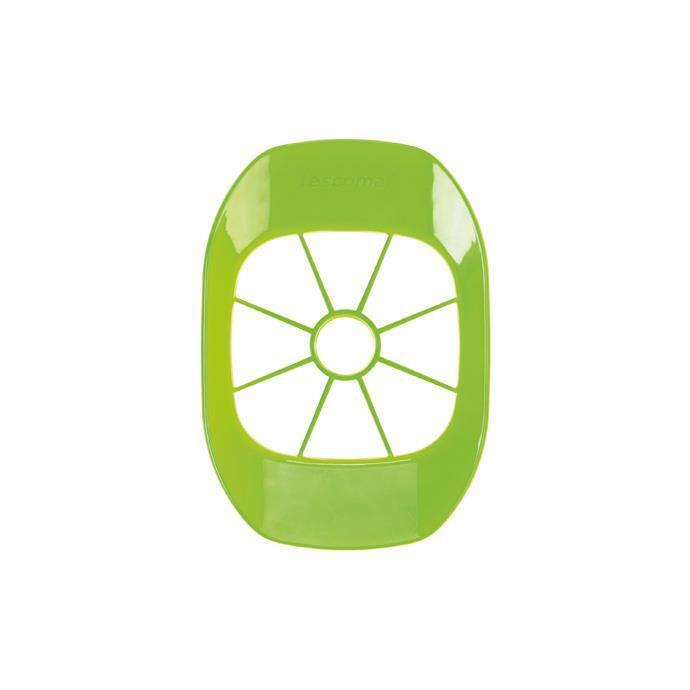 The plastic blade is sharp enough and is so gentle on the sliced fruits that they do not wither, do not turn brown, preserve their taste and aroma and remain fresh longer. 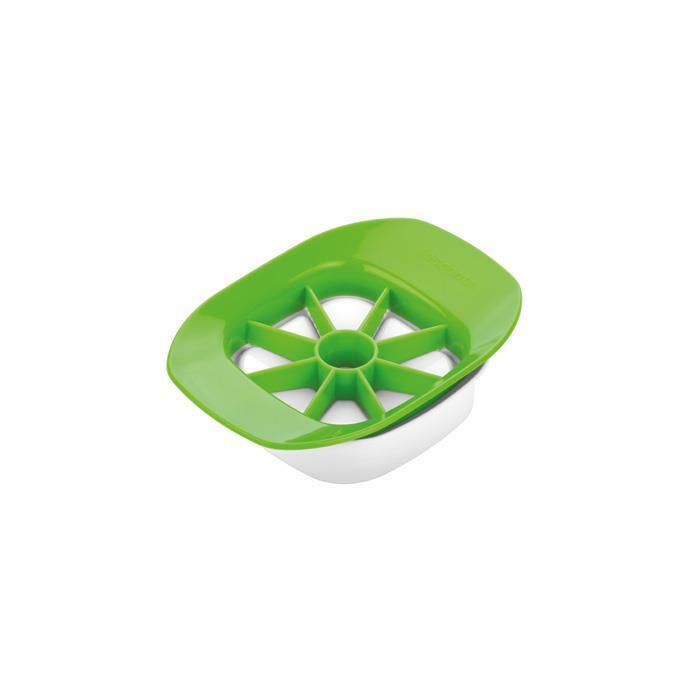 The slicing pad with profiled bottom ensures the slicer cuts fruits entirely, together with the skin. 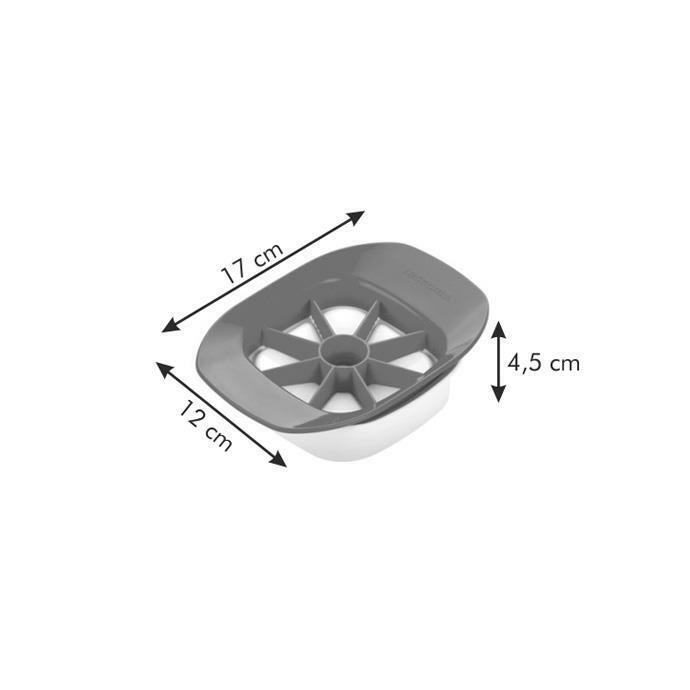 Made of excellent resistant plastic.